The following are enemies that I will be using in an upcoming one-shot using the GURPS roleplaying system, published by Steve Jackson games, set in Wizard’s of the Coast’s Eberron setting. 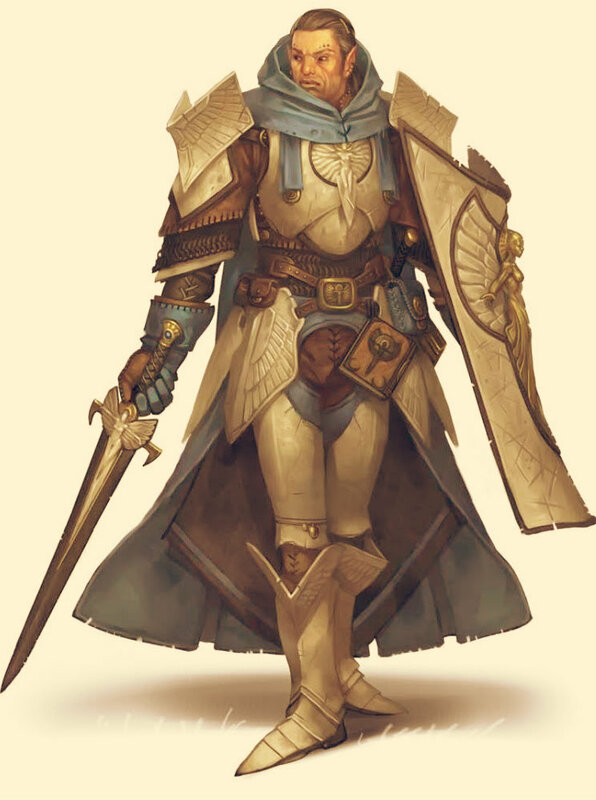 Combat Reflexes (+6 on all IQ rolls to wake up or recover from surprise), Guardian’s Shield (Grant one friendly target Injury Tolerance: Damage Reduction 2, does not stack with other Dread Guardian’s abilities), Rotting Undead Traits, Unfazeable (exempt from Fright Checks and unaffected by reaction modifiers). Clinging (Move 3 across walls or ceiling), Combat Reflexes ( +6 on all IQ rolls to wake up or recover from surprise), Darkvision, Improved Dodge 2, Rotting Undead Traits, Tough Skin (DR: 2), Unfazeable (exempt from Fright Checks and unaffected by reaction modifiers). 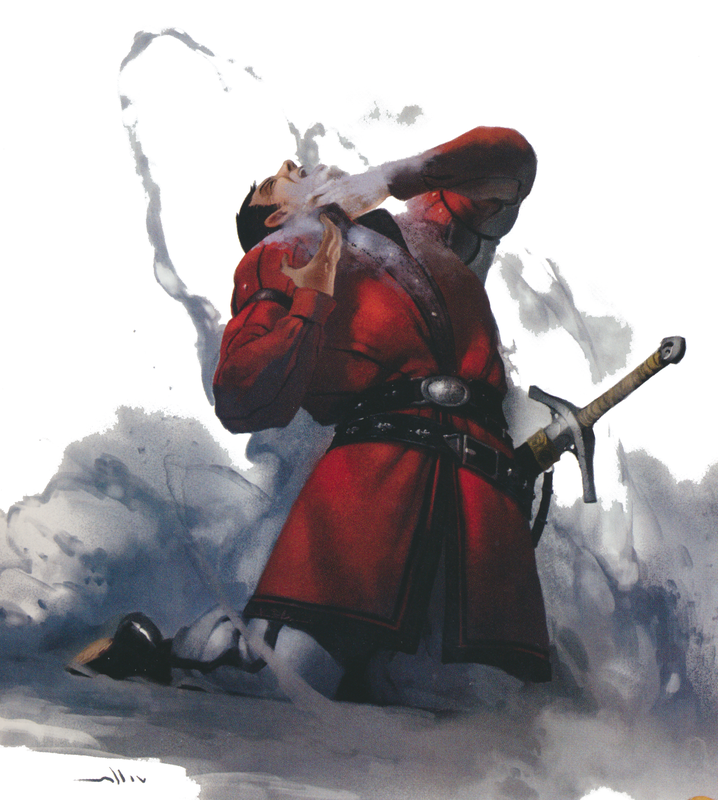 Freeze Limb: Attack 15 (resisted by HT), Directed against a hand it causes subject to drop what he’s holding. Magery 2, Rotting Undead Traits, Unfazeable (exempt from Fright Checks and unaffected by reaction modifiers). Innate Attack: Necrotic Blast 13, Staff 12, Freeze Limb (as Spasm) 15, Flaming Weapon 15, Necrotic Blast (as Lightning) 15. Night Vision 8, Quadruped, Rotting Undead Traits, Tough Skin (DR: 2), Sharp Teeth, Unfazeable (exempt from Fright Checks and unaffected by reaction modifiers). 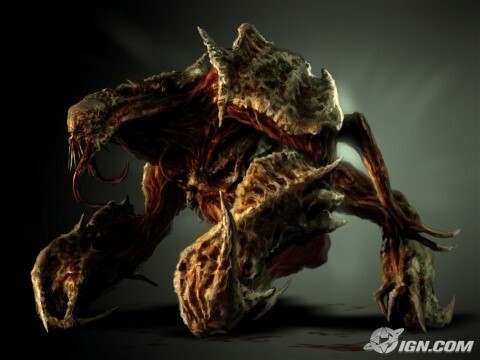 Extra Attacks 2, Innate Attack: Acidic Breath (1d6-1 acid, Cone 12 long x 3 wide, 3/day) Long Tentacles (4 total with +1 reach), Rotting Undead Traits, Sharp Teeth, SM + 2 (3 hexes), Unfazeable (exempt from Fright Checks and unaffected by reaction modifiers). Overpowering Stench: All within 3 hexes must make HT roll of be Nauseated (-2 to attributes and skill checks, -1 to active defenses). Roll HT each round to recover. Blunt Claws, Overpowering Stench (Area Affliction), Rotting Undead Traits, Single Minded, SM + 1, Unfazeable (exempt from Fright Checks and unaffected by reaction modifiers). Lightning Breath (Jet): Attack 16, Acc 3, Range 50/100, 2d6 lightning (target makes HT roll at -1 per 2 HP suffered or stunned, make HT roll each turn thereafter to recover; Metal armor only grants DR 1 against this; costs 2 FP). Lightning Breath (Cone): Attack 16, Range 8, Width 4, 1d6 lightning (target makes HT roll at -1 per 2 HP suffered or stunned, make HT roll each turn thereafter to recover; Metal armor only grants DR 1 against this, costs 2 FP). 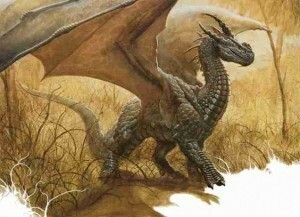 Languages: Common (Native), Draconic (Native). 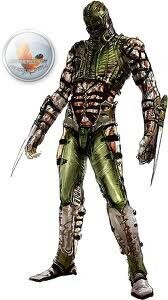 Combat Reflexes (+6 on all IQ rolls to wake up or recover from surprise), Dark Vision, DR 4, Extra Attack, Extra Legs (Four Legs), Flight, Lightning Breath (Jet and Cone), Magery 3, Metabolism Control 2, Nictating Membrane 2, Sharp Claws, Sharp Teeth, SM +1, Tail Sweep, Unaging, Wing Buffet. Dark Vision, Detect (Sentient Minds; ESP, Precise), Fire Cloud, High Pain Threshold, Magery 4, Mind Reading (Telepathic, Universal), Rotting Undead Traits, Steam Jet, Telesend (Broadcast, Telepathic, Universal), Thunderwave, Unfazeable (exempt from Fright Checks and unaffected by reaction modifiers). 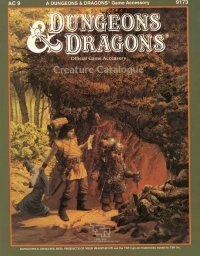 Last week I noticed that the random encounters table found in Fires of Creation includes a number of monsters that are not included in the Monster Manual, nor in my earlier conversion efforts. 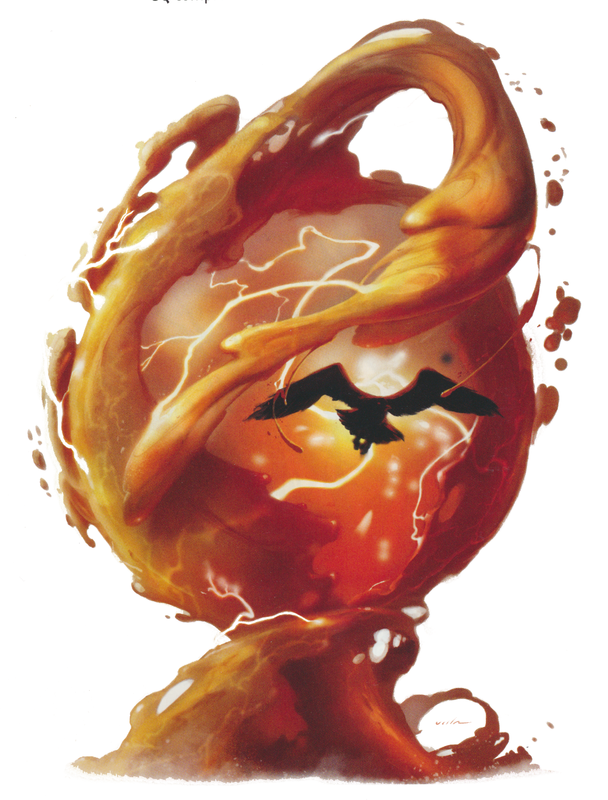 In the interest of satisfying my completist tendencies, I decided to write up conversions of all the critters listed on the Torch Encounters table found on page 81 of Fires of Creation. Pounce. 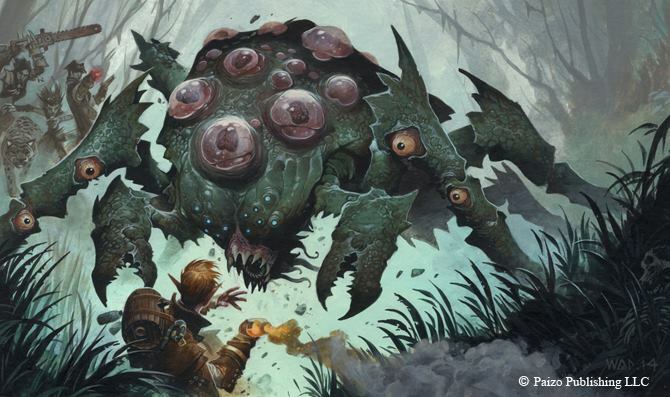 If the fungal crawler moves at least 20 feet straight towards a creature and then hits it with a claw attack on the same turn, that target must succeed on a DC 12 Strength saving throw or be knocked prone. If the target is prone, the fungal crawler can make one claw attack as a bonus action. Multiattack. 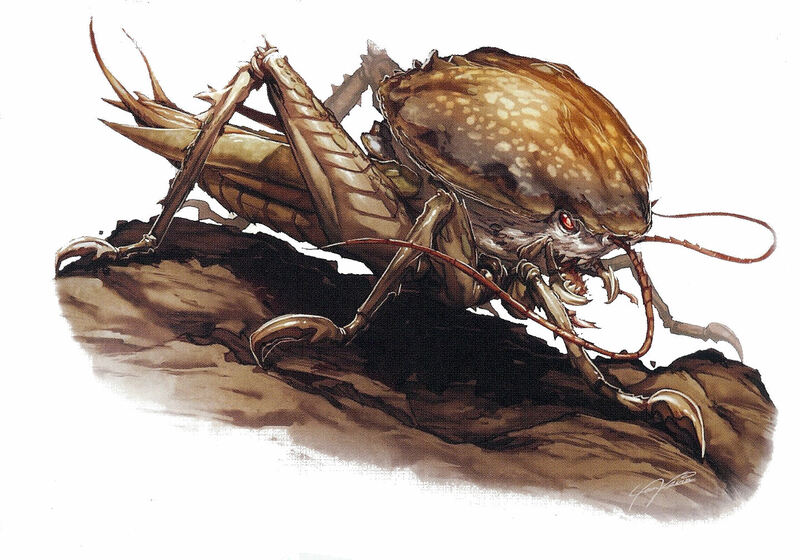 The fungal crawler makes two attacks: one with its bite and one with its claw attacks. Bite. Melee Weapon Attack: +4 to hit, reach 5 ft., one creature. Hit: 7 (1d10 + 2) piercing damage, and the target must succeed on a DC 12 Constitution saving throw or be poisoned for 1 minute. The poisoned target is poisoned, and it can repeat the saving throw at the end of each of its turns, ending the effect on a success. Claw. Melee Weapon Attack: +4 to hit, reach 5 ft., one target. Hit: 7 (2d4+2) piercing damage. Speed 10 ft., climb 10 ft., swim 10 ft.
Amorphous. The giant amoeba can move through a space as narrow as 1 inch wide without squeezing. Pseudopod. Melee Weapon Attack: +4 to hit, reach 5 ft., one target. Hit: 4 (1d6+1) bludgeoning damage plus 2 (1d4) acid damage and the target is grappled (escape DC 10). 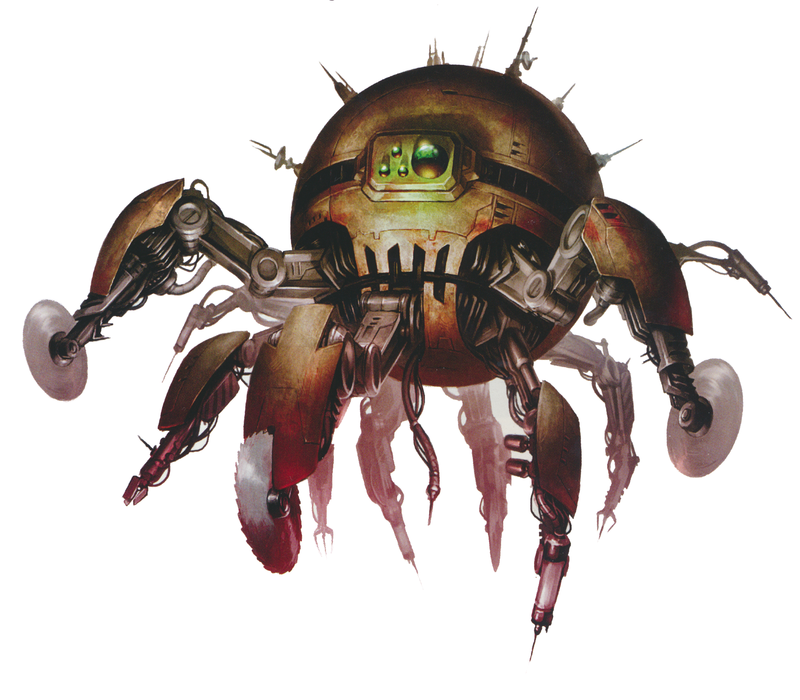 Until the grapple ends, the target is restrained and has disadvantage on Strength checks and Strength saving throws, and the target takes 2 (1d4) acid damage at the start of each of its turn, while it is grappled. Bite. Melee Weapon Attack: +4 to hit, reach 5 ft., one creature. 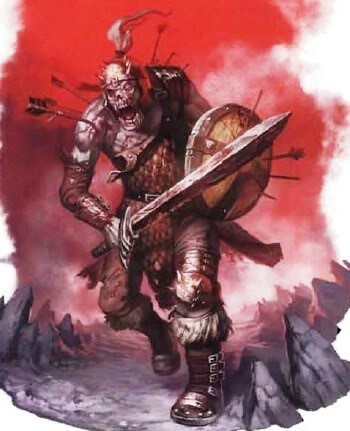 Hit: 5 (1d6 +2) piercing damage and the target must succeed on a DC 11 Constitution saving throw or be infected with sewer plague (see page 257 of the Dungeon Master’s Guide). Bite. Melee Weapon Attack: +4 to hit, reach 5 ft., one creature. Hit: 4 (1d4 +2) piercing damage. Regurgitate (Recharge 6). One creature within 5 feet must make a DC 11 Dexterity saving throw, taking 7 (2d6) acid damage on a failed save, or half as much on a successful one. Magic Resistance: The vexgit has advantage on saving throws against spells and other magical effects. Sneaky. The vexgit has advantage on Dexterity (Stealth) ability checks in metal or stony areas. Wrecking Crew. A group of six vexgit working together over the course of an hour can create an effect identical to the shatter spell. The spell save DC for this is 13. Light Hammer. Melee Weapon Attack: +5 to hit, reach 5ft., one target. Hit: 1 (1d4 – 2) piercing damage. Rusting Mandibles. The vexgit corrodes a nonmagical ferrous metal object it can see within 5ft. of it. If the object isn’t being worn or carried, the touch destroys a 1-foot cube of it. 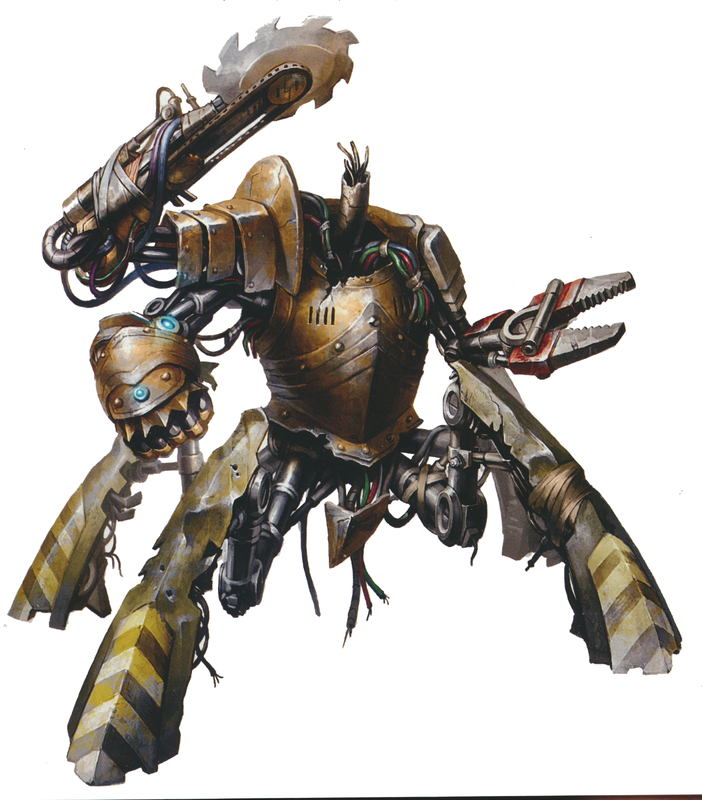 If the object is being worn or carried by a creature, the creature can make a DC 10 Dexterity saving throw to avoid the vexgit’s mandibles. If the object touched is either metal armor or a metal shield being won or carried, its takes a permanent and cumulative -1 penalty to the AC it offers. Armor reduced to an AC of 10 or a shield that drops to a +0 bonus is destroyed. 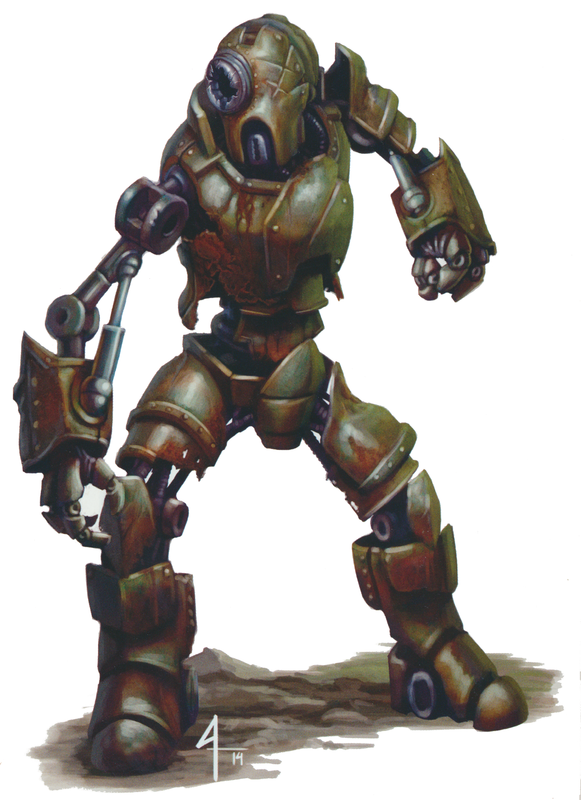 If the object rusted is a held metal weapon, the weapon takes a permanent and cumulative -1 penalty to damage rolls. If its penalty drops to -5, the weapon is destroyed. Speed 10 ft., climb 10ft., fly 60 ft. Cloaked. 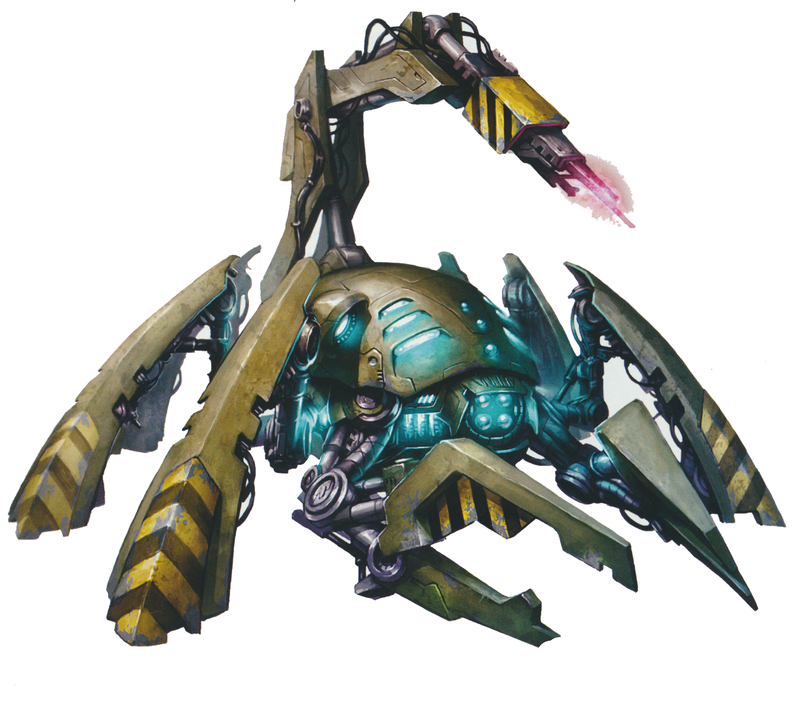 The petromin is invisible to creatures using only darkvision, but can be detected by other means. Keen Sight. The petromin has advantage on Wisdom (Perception) checks that rely on sight. Luminous. The petromin naturally sheds light equal to that provided by a candle. It can control the color of the illumination and can extinguish the light as a bonus action. Quills. 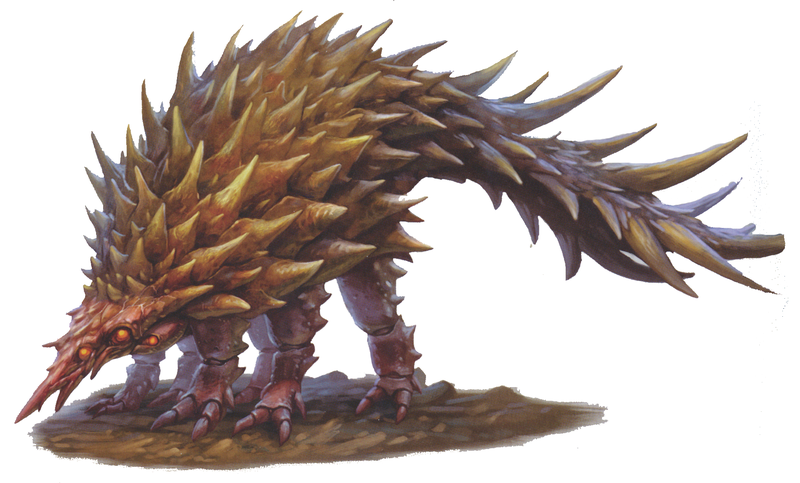 A creature that touches the pilo or hits it with a melee attack while within 5 feet of it takes 3 (1d6) piercing damage and the target must succeed on a DC 11 Constitution saving throw or be poisoned for 1 minute. The poisoned target is poisoned, and it can repeat the saving throw at the end of each of its turns, ending the effect on a success. Roll Up. 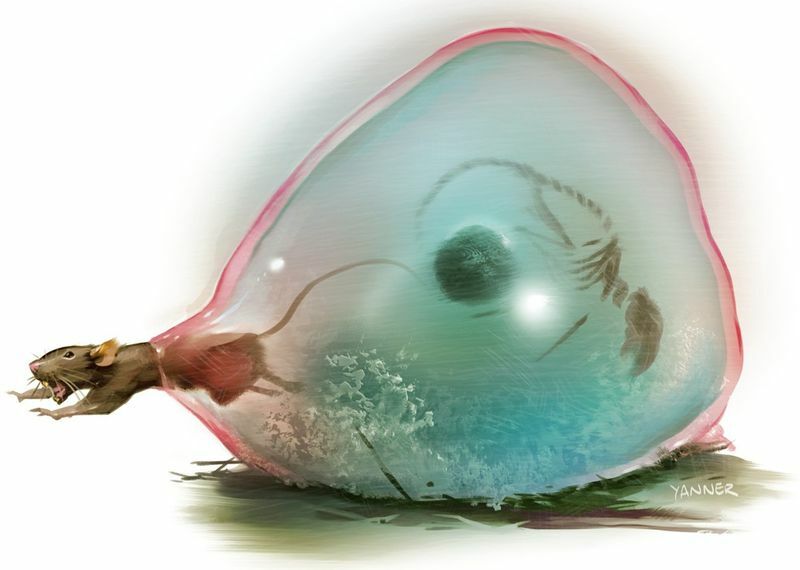 As a bonus action, the pilo can tuck itself into a ball, gaining an AC 18, but reducing its speed to 10 ft. until it unfurls itself. Gore. Melee Weapon Attack: +4 to hit, reach 5 ft., one target. Hit: 9 (2d6 + 2) piercing damage and the target must succeed on a DC 11 Constitution saving throw or be poisoned for 1 minute. The poisoned target is poisoned, and it can repeat the saving throw at the end of each of its turns, ending the effect on a success. Speed 30 ft., burrow 10ft. Dust Cloud (3/day). As a bonus action, the sorico shakes loose a cloud of dust. Each creature within 20 feet of it must succeed on a DC 11 Constitution saving throw or be poisoned until the start of the sorico’s next turn. Bite. Melee Weapon Attack: +4 to hit, reach 5 ft., one target. Hit: 9 (2d6 +2) piercing damage. Speed 10 ft., climb 10 ft., fly 40 ft.
Sunlight Sensitivity. 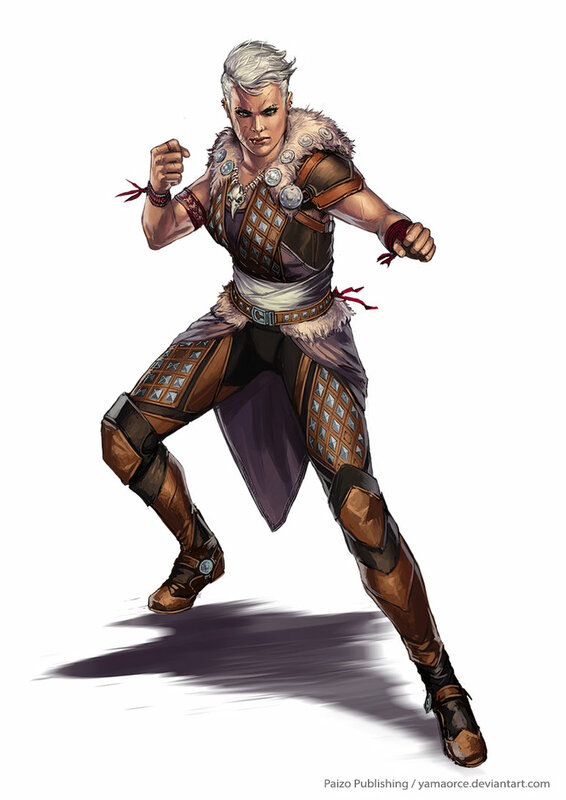 While in sunlight, the tsaalgrend has disadvantage on attack rolls, as well as on Wisdom (Perception) checks that rely on sight. Multiattack. 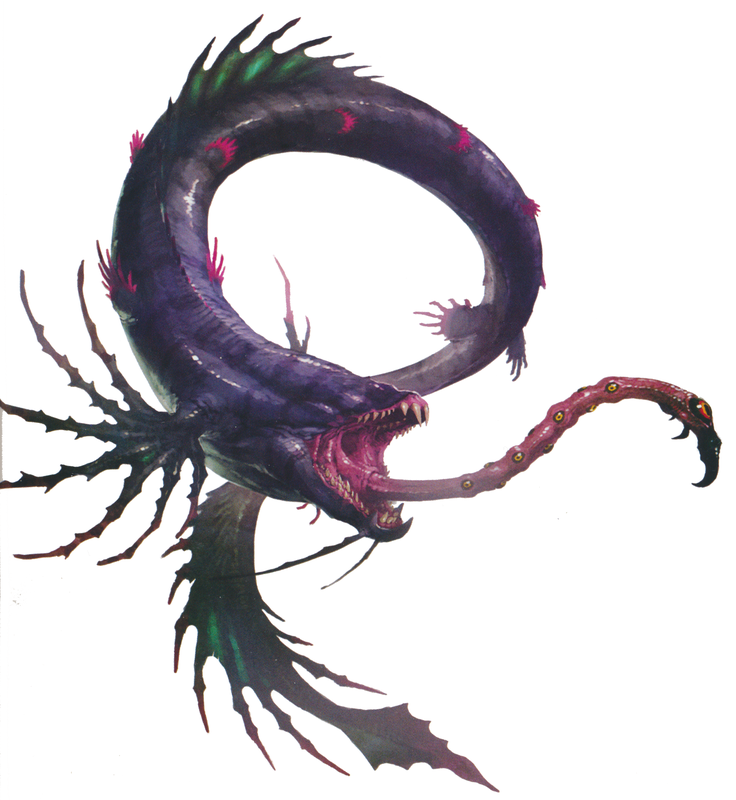 The tsaalgrend makes three attacks: one with its bite and two with its tendril attacks. Tendril. Melee Weapon Attack: +4 to hit, reach 5 ft., one target. Hit: 3 (1d4 + 1) bludgeoning damage and the target is grappled (escape DC 11). 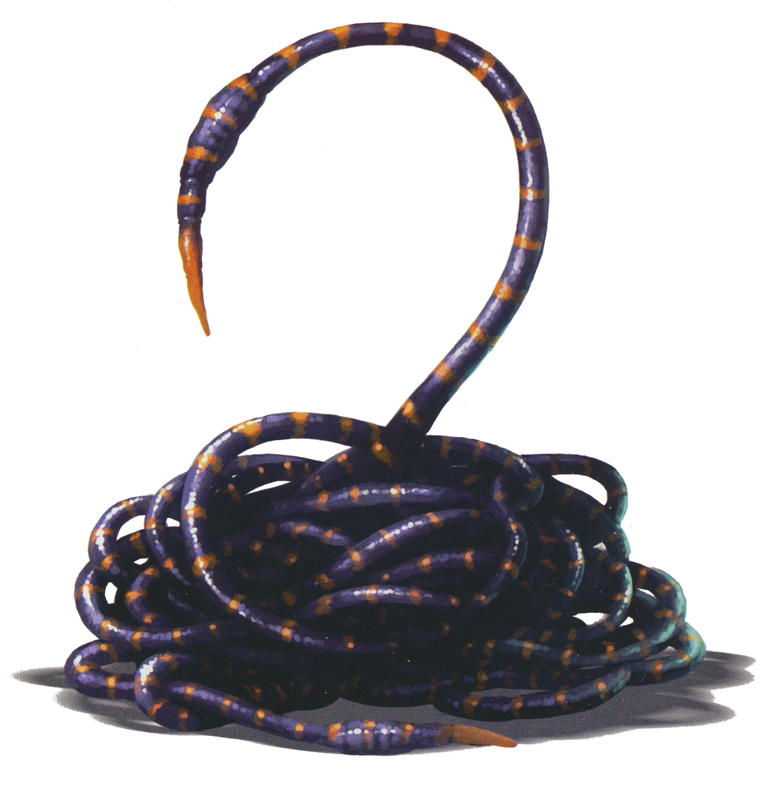 Until the grapple ends, the target is restrained and has disadvantage on Strength checks and Strength saving throws, and the tsaalgrend can’t use the same tendril on another target. Spore Cloud (Recharge 5-6). A 10-foot radius of spores extends from the tsaalgrend. Each creature within the spore cloud must succeed on a DC 11 Constitution saving throw or be poisoned. While poisoned, the creatures are stunned. All affected creatures can repeat their saves at the end of their turns. As with my other conversions, these critters are mostly based on existing 5th Edition D&D monsters (for instance, the Giant Fly is a mostly reskinned Giant Wasp). The way that I wrote up the Vexgit Gremlin makes it more of a nuisance than an actual threat, but I feel that it’s sometimes nice to have a threat to throw at your players that does more than just hurt them. The Tsaalgrend could be reskinned as a form of aggressive myconid or, perhaps, as an adult/infantile version of the gas spore. 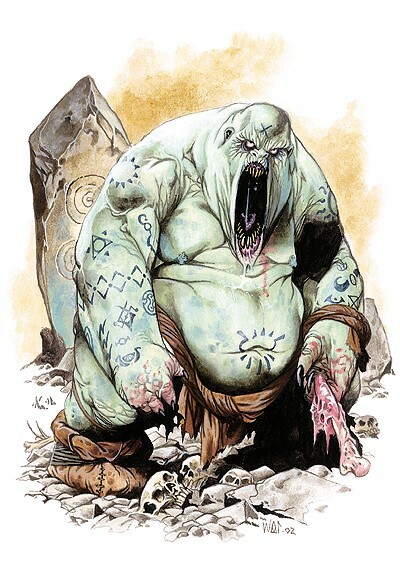 The petromin, pilo, and sorico could be reskinned as Underdark pets or pests, found in dwarven, rock gnome, or drow communities. This batch of monsters should provide DMs all they need to use the random encounter tables in Fires of Creation without modification…and my completist tendencies are satisfied. 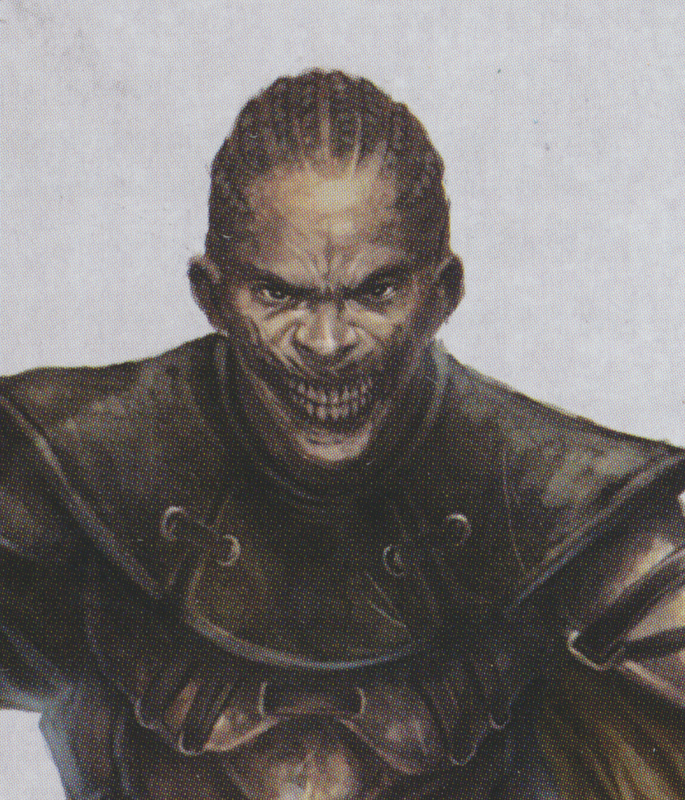 Since they play such a significant role in one of the later Iron Gods adventure path chapters, I thought I would take this week to convert the sinister Brain Collector (or Neh-Thalggu) from the Pathfinder roleplaying game into 5th Edition Dungeons & Dragons. 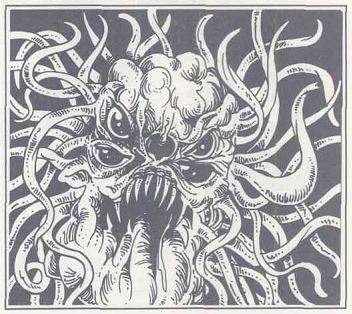 I should also acknowledge that my long history of running the Call of Cthulhu RPG leaves me with a love of tentacled alien monstrosities from beyond the stars, so I was pretty excited to bring these critters into my own 5E games. With that brief intro out of the way, let’s get to the cerebral hoarders! Brain Collection. 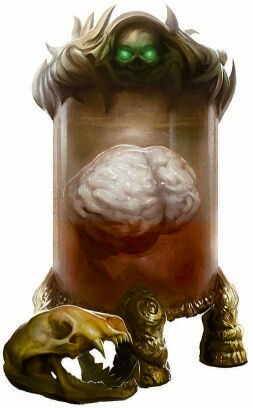 The brain collector can store up to ten humanoid brains and use them to enhance its knowledge and power. The destruction of these brains causes the brain collector to lose some of its magical power. Each brain can be attacked (AC 20: 15 hit points). Destroying a single brain deals no damage to the brain collector, but causes it to lose 1d4 unused spellcasting slots, starting with the highest level. Cerebral Power (Recharge 6). The brain collector uses the power of its collected brains to supercharge its magic. The brain collector can use this ability as a bonus action to cause the target of one of its spells to make any saving throws against the spell at disadvantage. Magic Resistance. The brain collector has advantage on saving throws against spells and other magical effects. Multiattack. 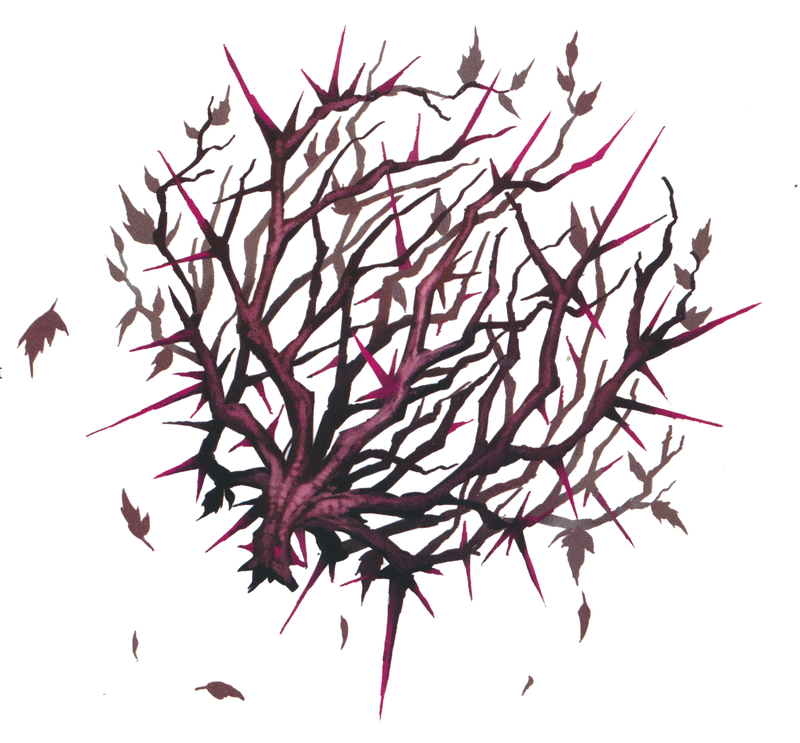 The brain collector makes three attacks: one with its bite and two with its claws. Bite Melee Weapon Attack: +8 to hit, reach 5 ft., one target. Hit: 9 (1d8 + 5) piercing damage, and the target must succeed on a DC 15 Constitution saving throw or be poisoned for 1 minute. The target can repeat the saving throw at the end of each of its turns, ending the effect on itself on a success. Claw Melee Weapon Attack: +8 to hit, reach 5 ft., one target. Hit: 12 (2d6 + 5) slashing damage. Collect Brain. Melee Weapon Attack: +8 to hit, reach 5 ft., one incapacitated humanoid grappled by the brain collector. Hit: The target takes 55 (10d10) slashing damage. If this damage reduces the target to 0 hit points, the brain collector kills the target by extracting and collecting its brain. 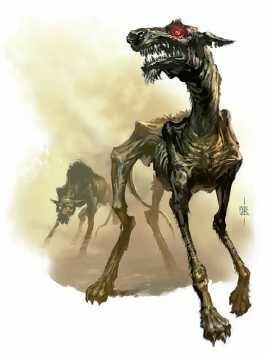 I have been gaming long enough to have been first exposed to the brain collector in the old Basic Dungeons & Dragons sourcebook, the Creature Catalogue, though, when I did a little research while preparing this conversion, I learned that these monstrosities first appeared in the Basic D&D adventure, Castle Amber. 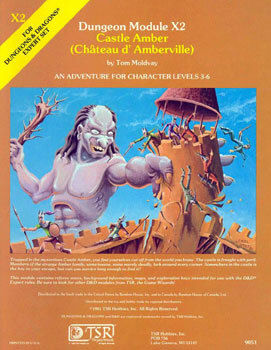 However, since I never had the chance to play Castle Amber, nor do I own a copy, I decided to dig out my copy of the Creature Catalogue to provide some old-school inspiration while doing my conversion. 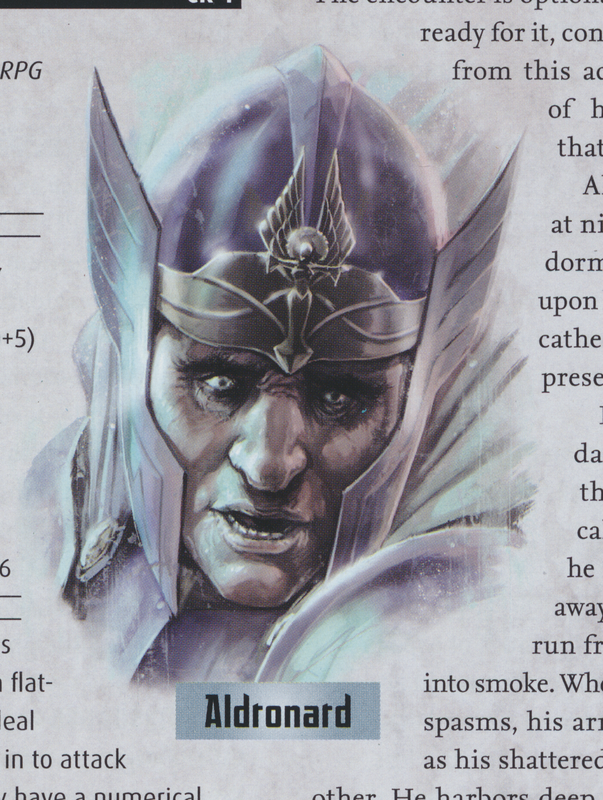 Comparing both versions, it turns out that the brain collector from Basic D&D and the version in the Pathfinder RPG are pretty close, thematically. Both of them are unspeakably alien creatures from “beyond the stars” that yank the brains from their victims and use them to fuel the brain collector’s spellcasting, which is pretty freakin’ cool and should serve as a “judging a book by its cover” lesson for me. 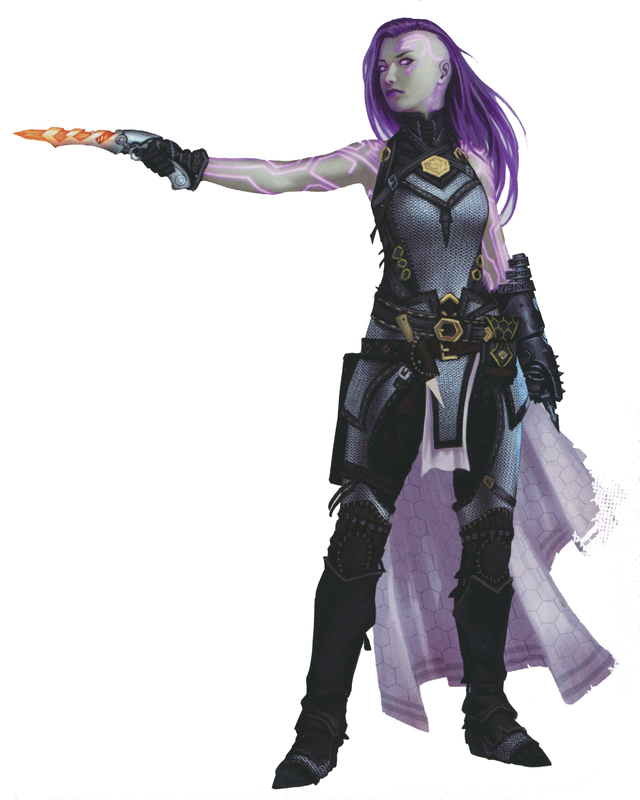 Since the brain collector’s abilities have remained so consistent throughout the editions, I decided it was important to try and keep those same signature abilities in the 5E version. When I first decided to put numbers to the concept, I figured it would be a matter of reskinning a mind flayer, whose role the brain collector seems to play in Pathfinder, but I was pretty far off in that assessment. 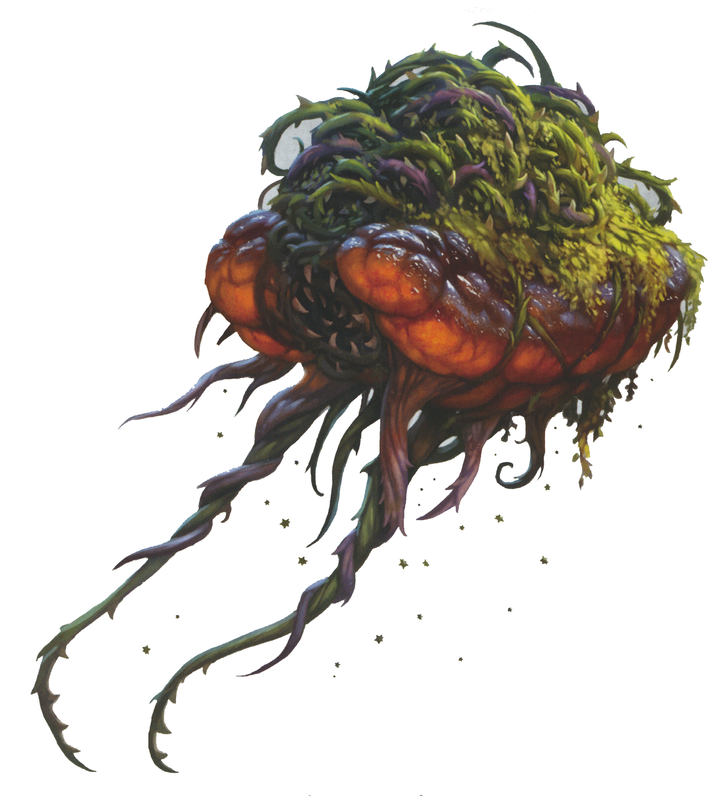 Where the mind flayer is more of a ranged, mage-type foe, the brain-collector is closer to a tank or brute type critter (high AC and high hit points) that also has a host of nasty spells to unleash on its foes. Therefore, I ended up looking to something a bit beefier to serve as a starting point for the brain collector (I ended up using the Green Slaad). Most of the abilities I ended up creating for the brain collector are pretty straightforward, but I wanted to write a quick word or two about the brain collecting. 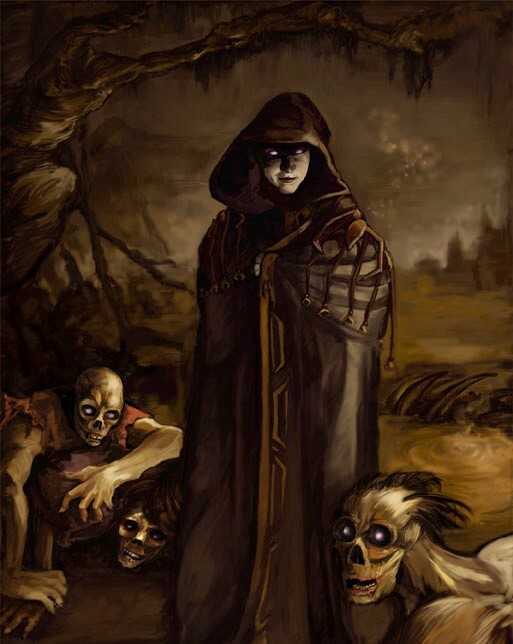 Initially, I thought that I would use the rules for 5E sorcerer class’ Metamagic to simulate the brain collector’s use of “brain power” to boost spells, but I decided that it would introduce too much book keeping for the monster (something that 5E has decidedly moved away from with its monster designs). In the end, I used 5E’s “recharge” mechanic to simulate this ability in a more streamlined way. As for the brains themselves, I wanted to make them a tempting target for the players to attack (you cannot have “brains” in the name and feature “brains under glass” in the critter’s art and not expect players to want to smash those brains), but not so crippling that they’d prove to be a glass jaw for the brain collector (technically, glass brains, I suppose). 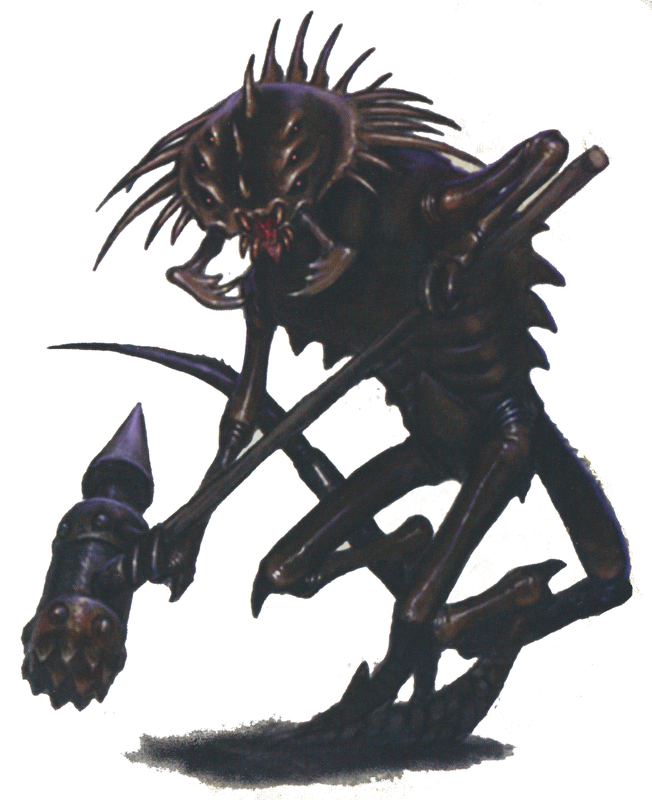 Finally, for the critter’s eponymous ability, I used the 5E mind flayer’s ability as a model to simulate the brain collector’s ability to pop open a target’s head Pez-style and yank out the brain. Since the target has to be both incapacitated and grappled, I do not see this happened too often in combat, but that fits with how the brain collector has always been presented (the brain collecting seems to always be a story element that happens after combat ends). That said, I felt it was worth including a “collect brain” ability on the off chance that the opportunity presents itself for the critter to add to its collection. While it is not technically reskinning, these stats could be used to represent a shock trooper minion used by mind flayers against their enemies. Alternatively, it may represent a horror created by a mad alchemist. 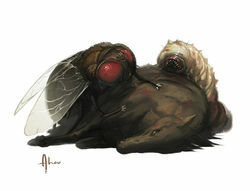 I cannot wait to use this critter against my players! 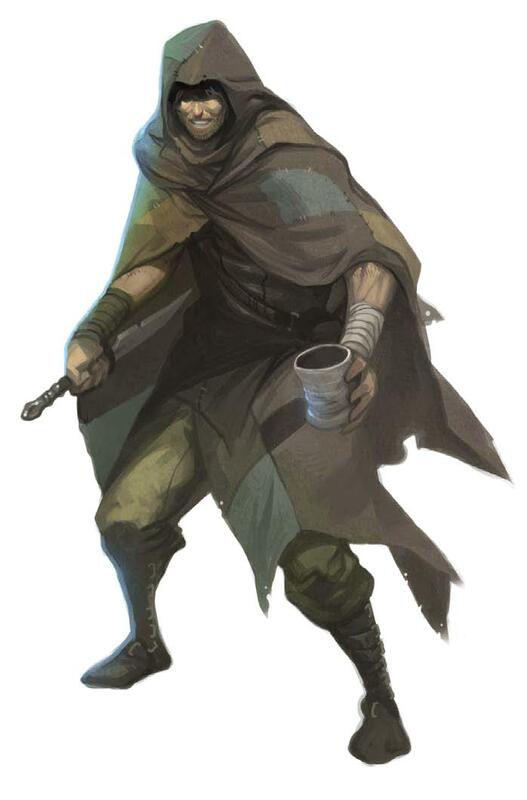 The brain collector’s a beast in melee and has a host of interesting spells that can make life painful for the PCs (invisibility, polymorph, dominate person). When my players fell one of these things, it should really feel like an achievement. I hope that other DMs out there enjoy fielding these as adversaries as much as I hope to!